Charity and Fund Raising is a multipurpose template that can be used to build a professional landing page. 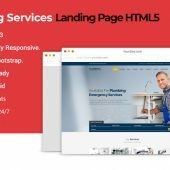 Charity Professional Landing Page Template is very easy to modify and it has a lot of features for any client to make a good HTML page. Charity template also included a lot of features for making a good professional look landing page with attractive design. This Nonprofit Landing Page Template has fully responsive layout. It fits perfectly on various displays and resolutions from regular desktop screens to tablets, iPads, iPhones and small mobile devices. 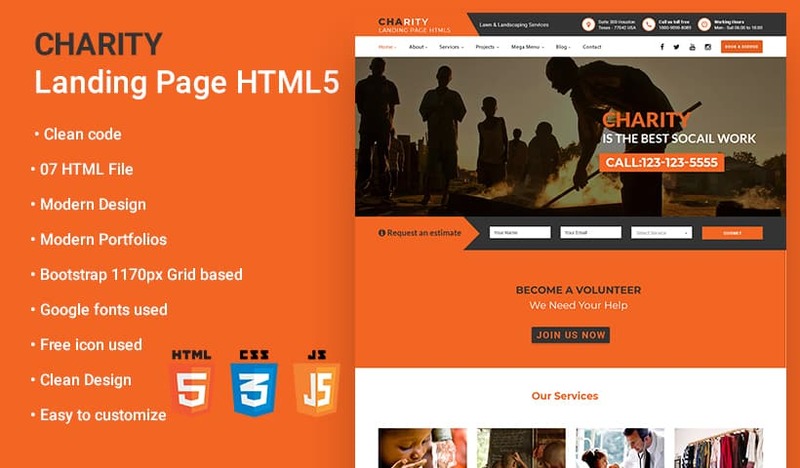 Charity lead gen page built base on customized HTML-5, CSS-3 with combo of jqury developed with fully responsive obsess in mind with Bootstrap framework, it works wonderfully on any of your users devices magically. HTML5, jQuery & CSS3 interesting interactive animation is already made for you to create a unique experience on our site. Charity Landing Page Template comes with clean, tidy, pixel perfect, creative, hand tailored & unique design to make sure it comply with all strict standards with best practices & includes everything you need to start a website for your charity landing page template, donate template, donation, fund raising landing page template, nonprofit template, volunteer landing page activities. It is also customizable to fit any other similar domains with modern, impressive interface and easy to use. The theme comes with a lot of short-codes so the customization is all yours.